I know it's summer here in Australia, but Steel seems like the perfect winter holiday polish for those that want something a little more darker and not so 'blingy' ;-) Well when I say summer I mean days of storms and rain :-| Sigh for my tropical beach Queensland holiday... Anyway, I hope you come back tomorrow for yet another holiday polish - Christmas is only just around the corner! 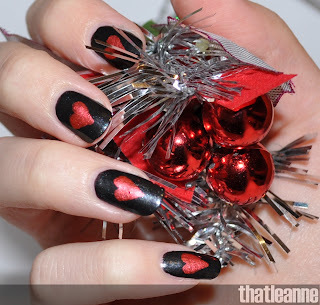 You have read this articleAdvent Calendar / Nail Art / Nail Polish / Sally Hansen with the title Day 17 of the Nail Polish Advent Calendar: Coal Hearted. You can bookmark this page URL http://grluwilbok86.blogspot.com/2010/12/day-17-of-nail-polish-advent-calendar.html. Thanks! 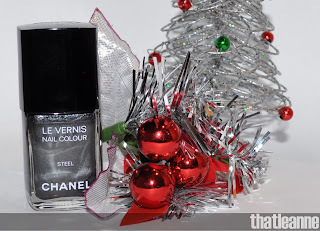 Comments "Day 17 of the Nail Polish Advent Calendar: Coal Hearted"